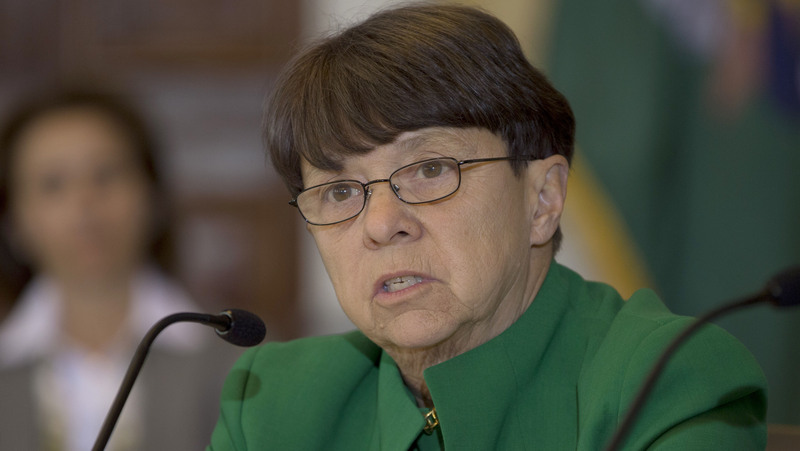 Uniform fiduciary standard should be codified principles-based and rooted in the current fiduciary standard for investment advisors, Chairwoman Mary Jo White said at SIFMA event. Securities and Exchange Commission Chairwoman Mary Jo White said Tuesday that the agency should “act” on a uniform fiduciary standard for brokers and investment advisors, one that should be “codified principles-based and rooted in the current fiduciary standard for investment advisors,” and that the agency should also move forward on third-party exams for advisors. Three such challenges include “how do you define that standard; what’s required under that standard; and how do you ensure compliance and enforcement of that standard,” White said. Citing the lack of adequate funding from Congress to boost the number of investment advisor exams, White said that the agency needs “to move to a program of third-party compliance exams for advisors.” She said, however, that the SEC would continue to press Congress for more funding for the agency. Such third-party exams “should be part of this undertaking,” she said, adding that the agency would need to determine “who should do” such exams and “what are the criteria” for such exams. White said that her “next steps” would be to have “in-depth” discussions with the SEC commissioners, “regarding all aspects of this” as the SEC staff “proceeds to develop a recommendation for a uniform fiduciary duty and third-party program.” White stressed that third-party exams would not replace advisor exams performed by the SEC’s Office of Compliance Inspections and Examinations. Regarding the Department of Labor’s redraft of its rule to amend the definition of fiduciary under the Employee Retirement Income Security Act, White said that “DOL is addressing very important responsibilities in their mandate for retirement accounts,” adding that SEC staff provided extensive technical support to DOL,” including the “impact on investors of potentially changes” to the definition of fiduciary under ERISA. With White’s comments, “obviously [such a rulemaking] is elevated up” at the agency.